A country yard sale is the perfect place to pick up old weathered relics perfect for a do-it-yourselfer’s imagination. 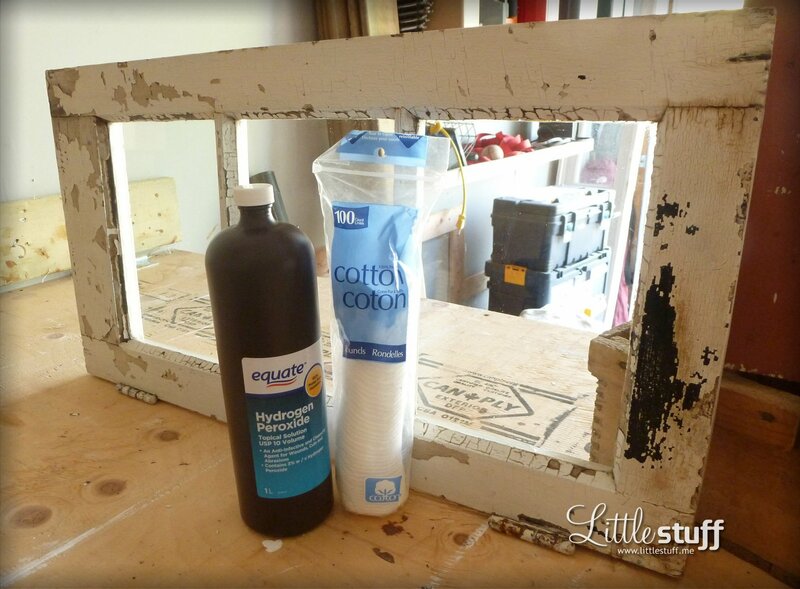 I picked this dirty, soot-covered window frame for $5 from among a stack of a half-dozen or so similar items. I knew it had potential to become a shabby chic key holder and message board to keep by the front door. I was very pleased to find that they window panes cleaned up nicely. 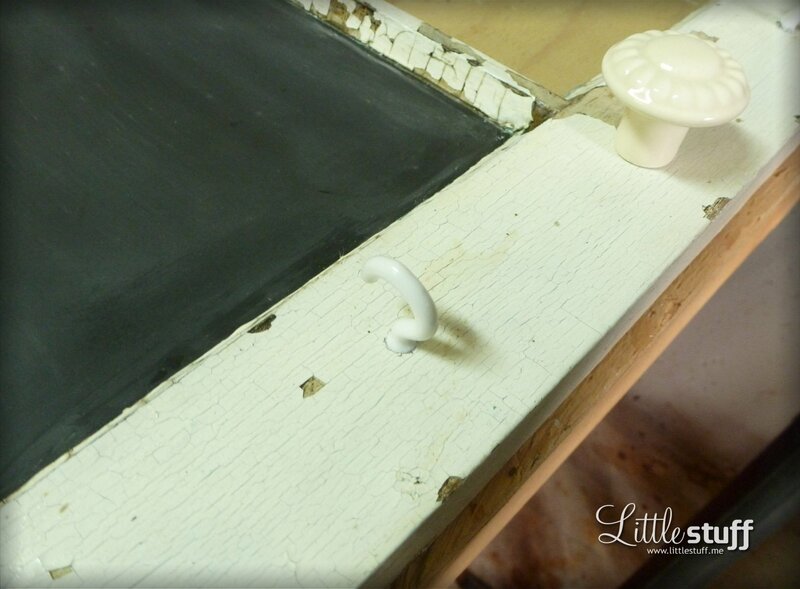 I removed unnecessary hardware, but kept the rusty hinges in place as they added to the rustic quality. A little hydrogen peroxide helped remove some final stubborn goo from the window panes. Next I applied a couple coats of polyurethane over the frame as a sealer. 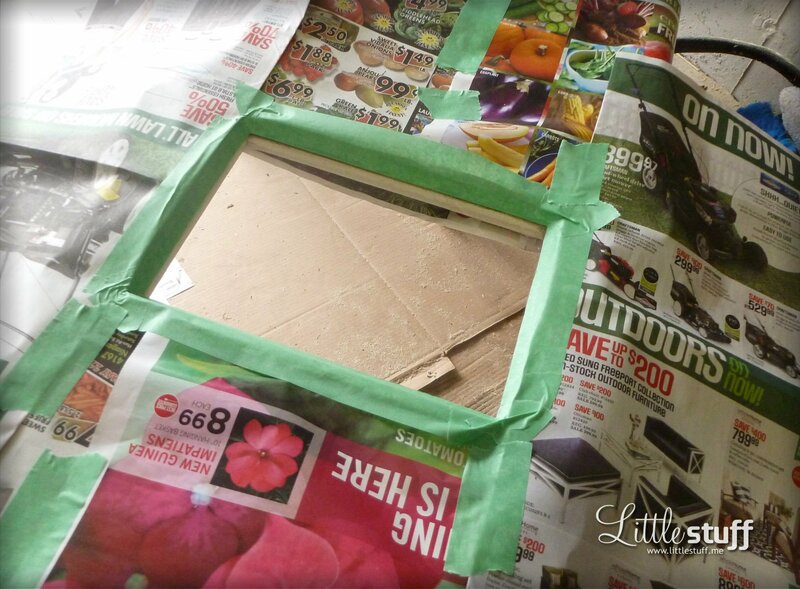 Newspaper and masking tape helped protect all but the center pane, on which I sprayed two coats of chalkboard paint. These mismatched drawer pulls came from my local Habitat for Humanity Restore. At $1 a piece, they didn’t add much to the overall cost of the project. Because of the extra thickness of the window frame, instead of using the screws that the pulls came with I picked up four of these snap-off screws (above) from Home Depot. Being able to customize the length of the screws worked great! I chose a drill bit that was slightly smaller than the width of the drawer pull screws and drilled four evenly-spaced holes along the base to insert them through. Next I hand-screwed in some c-hooks between the pulls to make it easier to hang keys on rings. 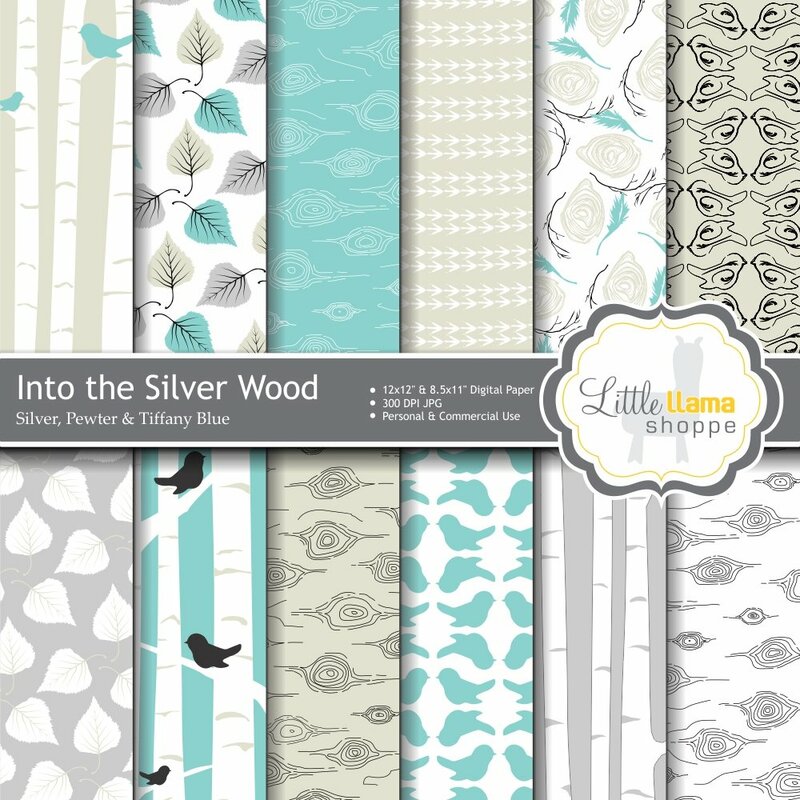 Finally, I chose two patterns from my favorite set of digital paper (Into the Silver Wood from Little Llama Shoppe, Etsy.com) and measuring the dimensions of the two outer window panes, printed inserts on cardstock. These I secured from behind the panes. I used masking tape so that I’m free to change them up whenever the mood strikes. 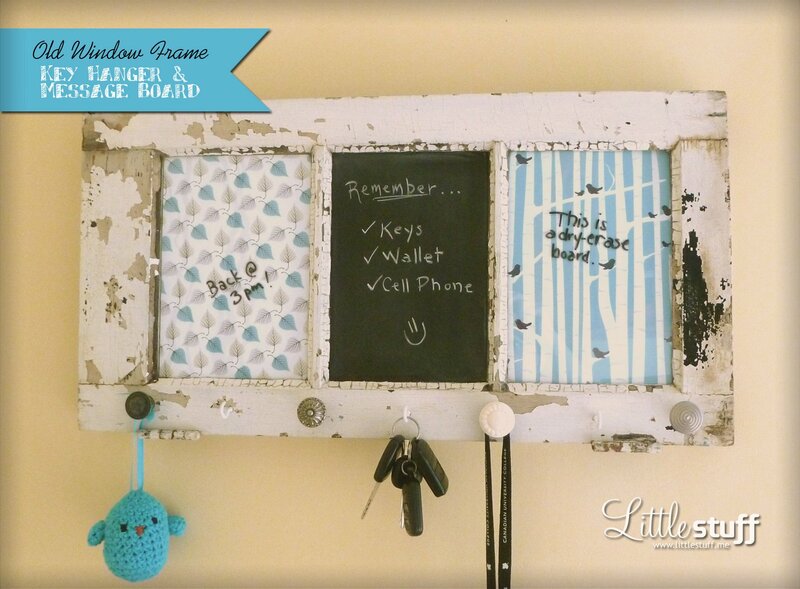 The center pane is great for quick messages, as too are the outer panes, which double as dry-erase boards.